Who lives in a pineapple under the sea? Why, Sponge Bob, of course. This sheet cake was covered in yellow fondant and the pores were embossed around the sides and on the surface (there are many dimples on the flat surface of his body, unfortunately, the flash of the camera makes them hard to see). All of SB’s features are painstakingly cut from fondant and applied individually. 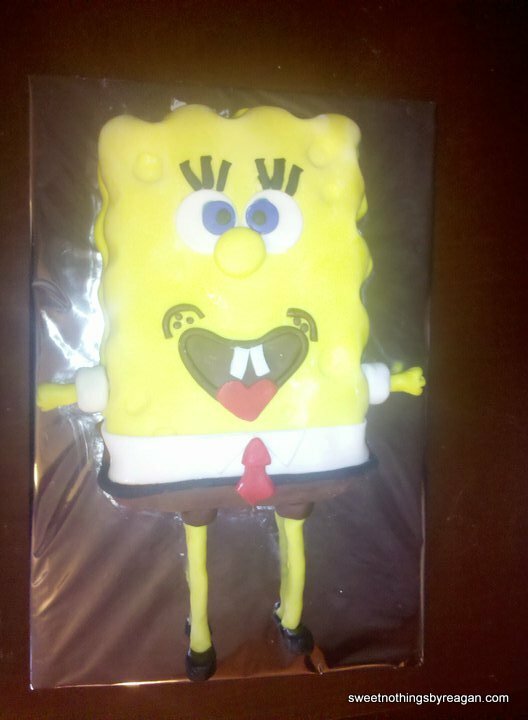 Posted in featuredTagged birthday, birthday cake, cake, fondant, sculpted cake, spongebob, Spongebob SquarePantsBookmark the permalink.